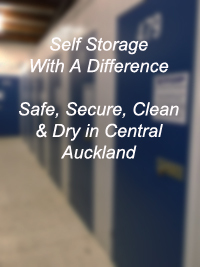 Access Ezy self storage units in a range of sizes suitable for households, businesses and students for short or long term storage. Call Today (09) 625 7923. We can help calculate your storage space requirements. We can advise on how to pack using various packing materials. We can supply boxes, bubble wrap, tape. We can organize reliable movers for Auckland, New Zealand or to any overseas destination. Get started on that packing early. Best storage system for keeping cost down is to pack as many smaller items as possible in cardboard boxes well labeled. This makes the move faster and uses space in the truck and storage unit better. Plan for heavy uncrushable items like books and clothes to be on the bottom with lighter more bulky items either in boxes or loose on top. Get cardboard boxes from shops selling white goods, from hardware stores, supermarkets. Use blankets, rugs, sheets between easily marked surfaces. Put any boxes containing items that might be needed in last. Book your mover early and allow for holdups. Have some friends available to help. Begin packing a couple of days before you move. Careful packing pays by preventing breakage and loss of small and fragile items. And moving time is a great time to weed out old, unwanted possessions. You’ll want plenty of sturdy cardboard cartons, packing paper, sealing tape and a magic marker-type pen. The best system for keeping costs down is to pack as many smaller items as possible in cardboard boxes well labeled. This makes the move faster and uses space in the truck and storage unit better. Plan for heavy uncrushable items like books and clothes to be on the bottom with lighter more bulky items either in boxes or loose on top. Beds: Lash bed rails together with rope or plastic tape. As you take beds apart, mark all pieces so you know which goes with which headboard, etc. Considering putting plastic covers on mattresses, or clothes in plastic bags? It might be better to wrap mattresses in a blanket or sheet, and put clothes in cardboard boxes. In this way you can avoid old and mildew. Wardrobes: Make your wardrobe and cupboard drawers earn their passage as extra packing boxes. Fill with small fragile items, sweaters, blankets and towels make excellent padding. Chairs and Tables: Protect all chair legs by wrapping them in packing paper, Leave slipcovers on upholstered chairs and cover them with plastic chair covers. If possible, remove the legs from large tables. Extra leaves should be tied together and padded. Clothing: Place naphthalene or moth balls in pockets. Store in wardrobes when in storage space. Dishes and Glasses: Take your time when packing dishes and glasses. Wrap each one with packing tissues and cushion them in the carton with crumpled packing paper. Keep dish and glass pack cartons under 30 pounds for easy handling and safe riding. Lamps and Mirrors: Pack lamp shades in individual boxes with plenty of paper for padding. Lamp bases ride security in bureau drawers, freezers and washing machines. For safety, pad them well with towels and blankets. Wrap your mirrors in paper pads, and identify them with your market pen so you won’t accidentally bang or bump them. Plan to stand them on edge. Never store a mirror flat. Paintings: Wrap paintings in paper pads. Mark them fragile and store them on edge never flat.